Four thousand exhibitors from all over the world will be presenting their products in Verona at the largest trade fair dedicated to the wine sector. Vinitaly Verona 2018, is expected to attract more than 150 thousand wine sector professionals. Regular wine lovers can also enjoy the side event “Vinitaly and the city” running from the 13th to the 16th April. The event offers a unique opportunity to experience the sights of Verona, along with a few glasses of excellent Italian wine. Visitors will also discover the flavours and traditions of the Italian regions with music, art, shows and food tastings, while strolling through the most beautiful streets and squares of Verona. The special wine route stops at various stages where you can enjoy the wine, and the sights of this historic city. Each stage has a theme, so along the way you will also experience Shakespeare, gourmet street food and music from Veneto, Sicily, Emilia Romagna, and Campania. There are going to be master class wine tastings led by professional sommeliers in the charming Loggia Antica in Piazza dei Signori, as well as visiting famous chefs. If like Ed Sheeran and Sting, you dream of drinking wine produced from grapes grown in your own vineyard, then Italy is certainly the place to come. Local wines will include the popular Soave and Pinot Noir. As is common for wine events in Italy the €10 ticket includes three tastings of wine and an official event glass in a bag to hang round your neck. For €18 you can even travel along the river on a rafting boat with a local guide, enjoying special food tastings along the way, while discovering Verona from a unique perspective. Just be prepared to get a bit wet. More details and ticket sales can be found at the vinitaly website. Verona is a city in northern Italy’s Veneto region, with a medieval old town built alongside the Adige River. It’s famous for being the setting of Shakespeare’s “Romeo and Juliet”, and a 14th-century residence in the town is said to have the famous Juliet balcony. Music lovers will also have heard of the Verona Arena, a large 1st-century Roman amphitheatre, which hosts concerts and large-scale opera performances. The city is less than 30 minutes’ drive from Peschiera del Garda on Lake Garda. You can fly from London to Verona with Ryanair, Easyjet or British Airways in as little as two hours, making this a great area to own a property that you can escape to for short breaks. There are a number of holiday style apartments for sale near the lake costing from around €160,000. 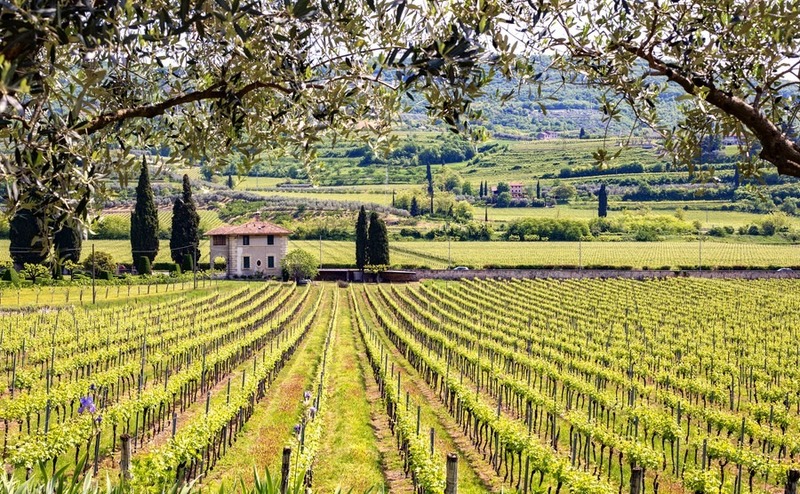 Do you dream of owning your own vineyard in Italy? If like Ed Sheeran and Sting, you dream of drinking wine produced from grapes grown in your own vineyard, then Italy is certainly the place to come. The country is the world’s largest wine producer by volume and across the 20 wine regions you will find over a million vineyards. These vineyards are not all on large expensive wine estates either. Many Italians have country houses with just enough vines to produce wine for their own family. The plot often also has olive and fruit trees, as well as space to grow vegetables. It’s not always clearly mentioned on property listings when a house comes with a vineyard, so it’s a good idea to ask estate agents if they have any on their books. A good example is this large three-bedroom house near Ostuni in Apulia, which comes with 160 vines, olive, fruit and nut trees, plus a large swimming pool, for just €425,000. 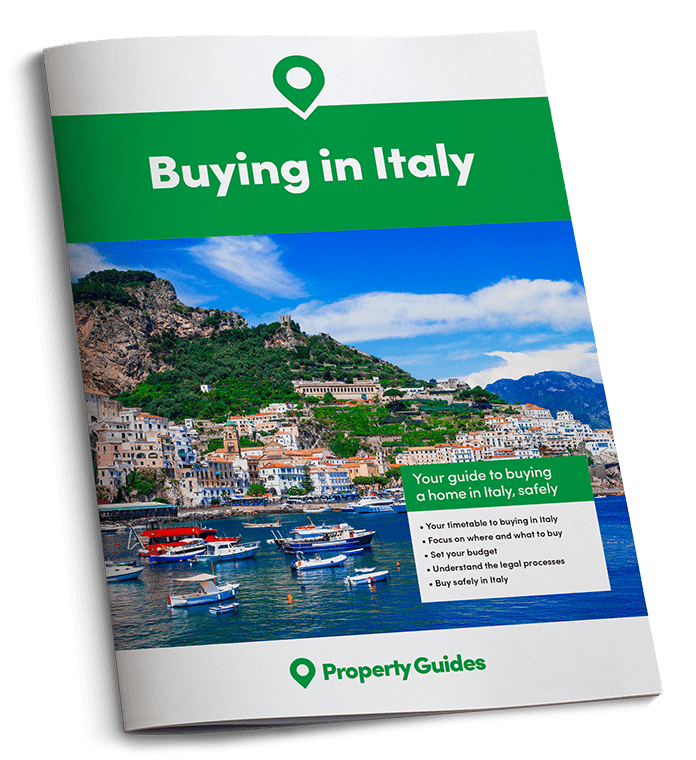 If you want to get more vineyard (and house) for your money, read our free guide, How to Negotiate Abroad. Negotiating effectively but fairly should get you a little more property for your pounds. If you want to enjoy local wine without the work of a vineyard, there are always plenty of wine producers nearby. Many of them sell wine directly to the public, straight into your plastic bottle, at a fraction of the price of the same wine bottled in the shops. You can pay as little as 1.50 per litre for a quality red and they’ll let you have a taster before you buy. They also often supply wine tours for your visitors, on special request.